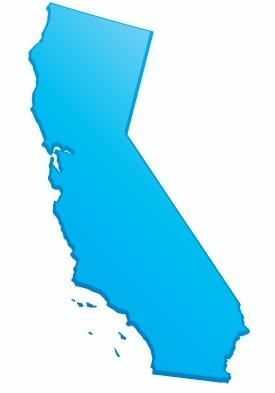 The provisions of the California statutes that permit the filing of mechanics liens and materialmen's liens can be found at California Civil Code 8000 through 9566 et. seq. Relevant sections of the California Mechanics Lien Law is provided below, and has been updated as of 2011. To see a quick synopsis of the most important provisions, take a look at our California Frequently Asked Questions page. 8000. Unless the provision or context otherwise requires, the definitions in this article govern the construction of this part. 8002. "Admitted surety insurer" has the meaning provided in Section 995.120 of the Code of Civil Procedure. 8004. "Claimant" means a person that has a right under this part to record a claim of lien, give a stop payment notice, or assert a claim against a payment bond, or do any combination of the foregoing. 8006. "Construction lender" means either of the following: (a) A mortgagee or beneficiary under a deed of trust lending funds with which the cost of all or part of a work of improvement is to be paid, or the assignee or successor in interest of the mortgagee or beneficiary. (b) An escrow holder or other person holding funds provided by an owner, lender, or another person as a fund for with which the cost of all or part of a work of improvement is to be paid. 8008. "Contract" means an agreement that provides for all or part of a work of improvement. 8010. "Contract price" means the price agreed to in a direct contract for a work of improvement. 8012. "Contractor" includes a direct contractor, subcontractor, or both. This section does not apply to Sections 8018 and 8046. 8014. "Design professional" means a person licensed as an architect pursuant to Chapter 3 (commencing with Section 5500) of Division 3 of the Business and Professions Code, licensed as a landscape architect pursuant to Chapter 3.5 (commencing with Section 5615) of Division 3 of the Business and Professions Code, registered as a professional engineer pursuant to Chapter 7 (commencing with Section 6700) of Division 3 of the Business and Professions Code, or licensed as a land surveyor pursuant to Chapter 15 (commencing with Section 8700) of Division 3 of the Business and Professions Code. 8016. "Direct contract" means a contract between an owner and a direct contractor that provides for all or part of a work of improvement. 8018. "Direct contractor" means a contractor that has a direct contractual relationship with an owner. A reference in another statute to a "prime contractor" in connection with the provisions in this part means a "direct contractor." 8020. For the purposes of Title 3 (commencing with Section 9000), "funds" means warrant, check, money, or bonds (if bonds are to be issued in payment of the public works contract). 8022. "Labor, service, equipment, or material" includes, but is not limited to, labor, skills, services, material, supplies, equipment, appliances, power, and surveying, provided for a work of improvement. standing to enforce any rights or claims of the laborer under this part, to the extent of the compensation agreed to be paid to the person or entity for labor on that improvement. This subdivision is intended to give effect to the longstanding public policy of this state to protect the entire compensation of a laborer on a work of improvement, regardless of the form in which that compensation is to be paid. 8026. "Lien" means a lien under Title 2 (commencing with Section 8160) and includes a lien of a design professional under Section 8302, a lien for a work of improvement under Section 8400, and a lien for a site improvement under Section 8402. 8028. "Material supplier" means a person that provides material or supplies to be used or consumed in a work of improvement. 8030. (a) For the purposes of Title 2 (commencing with Section 8160), "payment bond" means a bond given under Section 8600. (b) For the purposes of Title 3 (commencing with Section 9000), "payment bond" means a bond required by Section 9550. 8032. "Person" means an individual, corporation, public entity, business trust, estate, trust, partnership, limited liability company, association, or other entity. 8034. (a) For the purposes of Title 2 (commencing with Section 8160), "preliminary notice" means the notice provided for in Chapter 2 (commencing with Section 8200) of Title 2. (b) For the purposes of Title 3 (commencing with Section 9000), "preliminary notice" means the notice provided for in Chapter 3(commencing with Section 9300) of Title 3. 8036. "Public entity" means the state, Regents of the University of California, a county, city, district, public authority, public agency, and any other political subdivision or public corporation in the state. 8038. "Public works contract" has the meaning provided in Section 1101 of the Public Contract Code. 8040. "Site" means the real property on which a work of improvement is situated or planned. sidewalks. (f) Any other work or improvements in preparation of the site for a work of improvement. connection with the remedies provided in this part means a stop payment notice. 8046. "Subcontractor" means a contractor that does not have a direct contractual relationship with an owner. The term includes a contractor that has a contractual relationship with a direct contractor or with another subcontractor. 8048. "Work" means labor, service, equipment, or material provided to a work of improvement. 8050. (a) "Work of improvement" includes, but is not limited to: (1) Construction, alteration, repair, demolition, or removal, in whole or in part, of, or addition to, a building, wharf, bridge, ditch, flume, aqueduct, well, tunnel, fence, machinery, railroad, or road. (2) Seeding, sodding, or planting of real property for landscaping purposes. (3) Filling, leveling, or grading of real property. (b) Except as otherwise provided in this part, "work of improvement" means the entire structure or scheme of improvement as a whole, and includes site improvement. 8052. (a) This part is operative on July 1, 2012. (b) Notwithstanding subdivision (a), the effectiveness of a notice given or other action taken on a work of improvement before July 1, 2012, is governed by the applicable law in effect before July 1, 2012, and not by this part. (c) A provision of this part, insofar as it is substantially the same as a previously existing provision relating to the same subject matter, shall be construed as a restatement and continuation thereof and not as a new enactment. 8054. (a) This part does not apply to a transaction governed by the Oil and Gas Lien Act (Chapter 2.5 (commencing with Section 1203.50) of Title 4 of Part 3 of the Code of Civil Procedure). (b) This part does not apply to or change improvement security under the Subdivision Map Act (Division 2 (commencing with Section 66410) of Title 7 of the Government Code). (c) This part does not apply to a transaction governed by Sections 20457 to 20464, inclusive, of the Public Contract Code. 8056. Except as otherwise provided in this part, Part 2 (commencing with Section 307) of the Code of Civil Procedure provides the rules of practice in proceedings under this part. 8058. For purposes of this part, "day" means a calendar day. release of lien, payment bond, or other paper, the provision is satisfied by filing the paper for record in the office of the county recorder of the county in which the work of improvement or part of it is situated. 8062. No act of an owner in good faith and in compliance with a provision of this part shall be construed to prevent a direct contractor's performance of the contract, or exonerate a surety on a performance or payment bond. 8064. An owner may give a notice or execute or file a document under this part on behalf of a co-owner if the owner acts on the co-owner's behalf and includes in the notice or document the name and address of the co-owner on whose behalf the owner acts. 8066. An act that may be done by or to a person under this part may be done by or to the person's agent to the extent the act is within the scope of the agent's authority. 8100. Notice under this part shall be in writing. Writing includes printing and typewriting. of the following information to the extent known to the person giving the notice: (1) The name and address of the owner or reputed owner. (2) The name and address of the direct contractor. (3) The name and address of the construction lender, if any. (4) A description of the site sufficient for identification, including the street address of the site, if any. If a sufficient legal description of the site is given, the effectiveness of the notice is not affected by the fact that the street address is erroneous or is omitted. (A) A general statement of the work provided. (B) The name of the person to or for whom the work is provided. (C) A statement or estimate of the claimant's demand, if any, after deducting all just credits and offsets. (b) Notice is not invalid by reason of any variance from the requirements of this section if the notice is sufficient to substantially inform the person given notice of the information required by this section and other information required in the notice. that includes all of the following information, in addition to the information required by Section 8102: (1) The name and address of the laborer, and of any person or entity described in subdivision (b) of Section 8024 to which employer payments are due. State License Law, Chapter 9 (commencing with Section 7000) of Division 3 of the Business and Professions Code. in Section 415.20 of the Code of Civil Procedure for service of summons and complaint in a civil action. residence, the person's place of business, or at any of the following addresses: (a) If the person to be notified is an owner other than a public entity, the owner's address shown on the direct contract, the building permit, or a construction trust deed. in the contract or elsewhere for service of notices, papers, and other documents. (c) If the person to be notified is a construction lender, the construction lender's address shown on the construction loan agreement or construction trust deed. (d) If the person to be notified is a direct contractor or a subcontractor, the contractor's address shown on the building permit, on the contractor's contract, or on the records of the Contractors' State License Board. of lien, stop payment notice, or claim against a payment bond, or on the records of the Contractors' State License Board. (f) If the person to be notified is a surety on a bond, the surety' s address shown on the bond for service of notices, papers, and other documents, or on the records of the Department of Insurance. 8110. Except as otherwise provided by this part, notice by mail under this part shall be given by registered or certified mail, express mail, or overnight delivery by an express service carrier. 8114. A notice required by this part to be posted shall be displayed in a conspicuous location at the site. (a) If given by personal delivery, when delivered. service of summons in a civil action, five days after mailing. (d) If given by posting, when displayed. (e) If given by recording, when recorded in the office of the county recorder. (1) The type or description of the notice given. (2) The date, place, and manner of notice, and facts showing that notice was given in the manner required by statute. certified mail, or express mail. (3) A return receipt, delivery confirmation, signature confirmation, tracking record, or other proof of delivery or attempted delivery provided by the United States Postal Service, or a photocopy of the record of delivery and receipt maintained by the United States Postal Service, showing the date of delivery and to whom delivered, or in the event of nondelivery, by the returned envelope itself. 8120. The provisions of this chapter apply to a work of improvement governed by this part. rights under this part, whether with or without notice, and any term of a contract that purports to do so is void and unenforceable unless and until the claimant executes and delivers a waiver and release under this article. (a) The waiver and release is in substantially the form provided in this article and is signed by the claimant. (2) Written acknowledgment of payment by the claimant. (a) The statement is pursuant to a waiver and release under this article. (b) The claimant has actually received payment in full for the claim. writing and may be given in a form other than a waiver and release form provided in this article. extent of the reduction or release. (3) The reduction or release does not preclude the claimant from giving a subsequent stop payment notice that is timely and proper. in the stop payment notice to the extent of the reduction or release. reference to the lien or claim. THIS DOCUMENT WAIVES THE CLAIMANT'S LIEN, STOP PAYMENT NOTICE, AND PAYMENT BOND RIGHTS EFFECTIVE ON RECEIPT OF PAYMENT. A PERSON SHOULD NOT RELY ON THIS DOCUMENT UNLESS SATISFIED THAT THE CLAIMANT HAS RECEIVED PAYMENT. (B) the right to recover compensation for work not compensated by the payment. delivered, pursuant to a written change order that has been fully executed by the parties prior to the date that this document is signed by the claimant,are waived and released by this document, unless listed as an exception below. Procedure) applies to a bond given under this part, except to the extent this part prescribes a different rule or is inconsistent. (a) A change, alteration, or modification to a contract, plan, specification, or agreement for a work of improvement or for work provided for a work of improvement. (b) A change or modification to the terms of payment or an extension of the time for payment for a work of improvement. (c) A rescission or attempted rescission of a contract, agreement, or bond. (d) A condition precedent or subsequent in the bond purporting to limit the right of recovery of a claimant otherwise entitled to recover pursuant to a contract, agreement, or bond. (e) In the case of a bond given for the benefit of claimants, the fraud of a person other than the claimant seeking to recover on the bond. 8154. (a) A bond given under this part shall be construed most strongly against the surety and in favor of all persons for whose benefit the bond is given. (b) A surety is not released from liability to those for whose benefit the bond has been given by reason of a breach of the direct contract or on the part of any obligee named in the bond. 8160. This title applies to a work of improvement that is not governed by Title 3 (commencing with Section 9000) of this part. (1) The owner's name, address, and place of business, if any. (2) The name and address of the construction lender, if any. This paragraph does not apply to a home improvement contract or swimming pool contract subject to Article 10 (commencing with Section 7150) of Chapter 9 of Division 3 of the Business and Professions Code. (b) A written contract entered into between a direct contractor and subcontractor, or between subcontractors, shall provide a space for the name and address of the owner, direct contractor, and construction lender, if any. designation for the applicant to enter the name, branch designation, if any, and address of the construction lender and shall keep the information on file open for public inspection during the regular business hours of the public entity. (b) If there is no known construction lender, the applicant shall note that fact in the designated space. (c) Failure of the applicant to indicate the name and address of the construction lender on the application does not relieve a person required to give the construction lender preliminary notice from that duty. (1) The name and address of the construction lender. (2) The name and address of the owner of the real property described in the instrument. (3) A legal description of the real property that secures the loan and, if known, the street address of the property. (b) Failure to comply with subdivision (a) does not affect the validity of the mortgage, deed of trust, or other instrument. (c) Failure to comply with subdivision (a) does not relieve a person required to give preliminary notice from that duty. (d) The county recorder of the county in which the instrument is recorded shall indicate in the general index of the official records of the county that the instrument secures a construction loan. 8180. (a) For the purpose of this title, completion of a work of improvement occurs upon the occurrence of any of the following events: (1) Actual completion of the work of improvement. (2) Occupation or use by the owner accompanied by cessation of labor. (3) Cessation of labor for a continuous period of 60 days. (4) Recordation of a notice of cessation after cessation of labor for a continuous period of 30 days. (b) Notwithstanding subdivision (a), if a work of improvement is subject to acceptance by a public entity, completion occurs on acceptance. 8182. (a) An owner may record a notice of completion on or within 15 days after the date of completion of a work of improvement. (b) The notice of completion shall be signed and verified by the owner. (c) The notice shall comply with the requirements of Chapter 2 (commencing with Section 8100) of Title 1, and shall also include all of the following information: (1) If the notice is given only of completion of a contract for a particular portion of the work of improvement as provided in Section 8186, the name of the direct contractor under that contract and a general statement of the work provided pursuant to the contract. (2) If signed by the owner's successor in interest, the name and address of the successor's transferor. (3) The nature of the interest or estate of the owner. (4) The date of completion. An erroneous statement of the date of completion does not affect the effectiveness of the notice if the true date of completion is 15 days or less before the date of recordation of the notice. (d) A notice of completion that does not comply with the provisions of this section is not effective. (e) For the purpose of this section, "owner" means the owner who causes a building, improvement, or structure to be constructed, altered, or repaired, or that person's successor in interest at the date a notice of completion is recorded, whether the interest or estate of the owner be in fee, as vendee under a contract of purchase, as lessee, or other interest or estate less than the fee. Where the interest or estate is held by two or more persons as joint tenants or tenants in common, any one or more of the cotenants may be deemed to be the "owner" within the meaning of this section. 8184. A notice of completion in otherwise proper form, verified and containing the information required by this title, shall be accepted by the recorder for recording and is deemed duly recorded without acknowledgment. 8186. If a work of improvement is made pursuant to two or more direct contracts, each covering a portion of the work of improvement: (a) The owner may record a notice of completion of a direct contract for a portion of the work of improvement. On recordation of the notice of completion, for the purpose of Sections 8412 and 8414, a direct contractor is deemed to have completed the contract for which the notice of completion is recorded and a claimant other than a direct contractor is deemed to have ceased providing work. (b) If the owner does not record a notice of completion under this section, the period for recording a claim of lien is that provided in Sections 8412 and 8414. 8188. (a) An owner may record a notice of cessation if there has been a continuous cessation of labor on a work of improvement for at least 30 days prior to the recordation that continues through the date of the recordation. (b) The notice shall be signed and verified by the owner. (c) The notice shall comply with the requirements of Chapter 2 (commencing with Section 8100) of Title 1, and shall also include all of the following information: (1) The date on or about which labor ceased. (2) A statement that the cessation has continued until the recordation of the notice. (d) For the purpose of this section, "owner" means the owner who causes a building, improvement, or structure to be constructed, altered, or repaired, or that person's successor in interest at the date a notice of cessation is recorded, whether the interest or estate of the owner be in fee, as vendee under a contract of purchase, as lessee, or other interest or estate less than the fee. Where the interest or estate is held by two or more persons as joint tenants or tenants in common, any one or more of the cotenants may be deemed to be the "owner" within the meaning of this section. 8190. (a) An owner that records a notice of completion or cessation shall, within 10 days of the date the notice of completion or cessation is filed for record, give a copy of the notice to all of the following persons: (1) A direct contractor. (2) A claimant that has given the owner preliminary notice. (b) The copy of the notice shall be given in compliance with the requirements of Chapter 2 (commencing with Section 8100) of Title 1. (c) If the owner fails to give notice to a person as required by subdivision (a), the notice is ineffective to shorten the time within which that person may record a claim of lien under Sections 8412 and 8414. The ineffectiveness of the notice is the sole liability of the owner for failure to give notice to a person under subdivision (a). (d) For the purpose of this section, "owner" means a person who has an interest in real property, or the person's successor in interest on the date a notice of completion or notice of cessation is recorded, who causes a building, improvement, or structure, to be constructed, altered, or repaired on the property. If the property is owned by two or more persons as joint tenants or tenants in common, any one or more of the cotenants may be deemed to be the "owner" within the meaning of this section. However, this section does not apply to any of the following owners: (1) A person that occupies the real property as a personal residence, if the dwelling contains four or fewer residential units. (2) A person that has a security interest in the property. (3) A person that obtains an interest in the property pursuant to a transfer described in subdivision (b), (c), or (d) of Section 1102.2. 8200. (a) Except as otherwise provided by statute, before recording a lien claim, giving a stop payment notice, or asserting a claim against a payment bond, a claimant shall give preliminary notice to the following persons: (1) The owner or reputed owner. (2) The direct contractor or reputed direct contractor to which the claimant provides work, either directly or through one or more subcontractors. (3) The construction lender or reputed construction lender, if any. (b) The notice shall comply with the requirements of Chapter 2 (commencing with Section 8100) of Title 1. (c) Compliance with this section is a necessary prerequisite to the validity of a lien claim or stop payment notice under this title. (d) Compliance with this section or with Section 8612 is a necessary prerequisite to the validity of a claim against a payment bond under this title. (e) Notwithstanding the foregoing subdivisions: (1) A laborer is not required to give preliminary notice. (2) A claimant with a direct contractual relationship with an owner or reputed owner is required to give preliminary notice only to the construction lender or reputed construction lender, if any. NOTICE TO PROPERTY OWNER EVEN THOUGH YOU HAVE PAID YOUR CONTRACTOR IN FULL, if the person or firm that has given you this notice is not paid in full for labor, service, equipment, or material provided or to be provided to your construction project, a lien may be placed on your property. Foreclosure of the lien may lead to loss of all or part of your property. You may wish to protect yourself against this by (1) requiring your contractor to provide a signed release by the person or firm that has given you this notice before making payment to your contractor, or (2) any other method that is appropriate under the circumstances. This notice is required by law to be served by the undersigned as a statement of your legal rights. This notice is not intended to reflect upon the financial condition of the contractor or the person employed by you on the construction project. If you record a notice of cessation or completion of your construction project, you must within 10 days after recording, send a copy of the notice of completion to your contractor and the person or firm that has given you this notice. The notice must be sent by registered or certified mail. Failure to send the notice will extend the deadline to record a claim of lien. You are not required to send the notice if you are a residential homeowner of a dwelling containing four or fewer units. (b) If preliminary notice is given by a subcontractor that has not paid all compensation due to a laborer, the notice shall include the name and address of the laborer and any person or entity described in subdivision (b) of Section 8024 to which payments are due. (c) If an invoice for material or certified payroll contains the information required by this section and Section 8102, a copy of the invoice or payroll, given in compliance with the requirements of Chapter 2 (commencing with Section 8100) of Title 1, is sufficient. 8204. (a) A preliminary notice shall be given not later than 20 days after the claimant has first furnished work on the work of improvement. If work has been provided by a claimant who did not give a preliminary notice, that claimant shall not be precluded from giving a preliminary notice at any time thereafter. The claimant shall, however, be entitled to record a lien, give a stop payment notice, and assert a claim against a payment bond only for work performed within 20 days prior to the service of the preliminary notice, and at any time thereafter. (b) A design professional who has furnished services for the design of the work of improvement and who gives a preliminary notice not later than 20 days after the work of improvement has commenced shall be deemed to have complied with Section 8200 with respect to the design services furnished, or to be furnished. 8206. (a) Except as provided in subdivision (b), a claimant need give only one preliminary notice to each person to which notice must be given under this chapter with respect to all work provided by the claimant for a work of improvement. (b) If a claimant provides work pursuant to contracts with more than one subcontractor, the claimant shall give a separate preliminary notice with respect to work provided pursuant to each contract. (c) A preliminary notice that contains a general description of work provided by the claimant through the date of the notice also covers work provided by the claimant after the date of the notice whether or not they are within the scope of the general description contained in the notice. 8212. An agreement made or entered into by an owner whereby the owner agrees to waive the rights conferred on the owner by this chapter is void and unenforceable. 8214. (a) Each person who has served a preliminary notice may file the preliminary notice with the county recorder. A preliminary notice filed pursuant to this section shall comply with the requirements of Section 8102. (b) Upon the acceptance for recording of a notice of completion or notice of cessation the county recorder shall mail to those persons who have filed a preliminary notice, notification that a notice of completion or notice of cessation has been recorded on the property, and shall affix the date that the notice of completion or notice of cessation was recorded with the county recorder. The notification given by the county recorder under this section is not governed by the requirements of Chapter 2 (commencing with Section 8100) of Title 1. (c) The failure of the county recorder to mail the notification to the person who filed a preliminary notice, or the failure of those persons to receive the notification or to receive complete notification, shall not affect the period within which a claim of lien is required to be recorded. However, the county recorder shall make a good faith effort to mail notification to those persons who have filed the preliminary notice under this section and to do so within five days after the recording of a notice of completion or notice of cessation. (d) The county recorder may cause to be destroyed all documents filed pursuant to this section, two years after the date of filing. (e) The preliminary notice that a person may file pursuant to this section is for the limited purpose of facilitating the mailing of notice by the county recorder of recorded notices of completion and notices of cessation. The notice that is filed is not a recordable document and shall not be entered into those official records of the county which by law impart constructive notice. Notwithstanding any other provision of law, the index maintained by the recorder of filed preliminary notices shall be separate and distinct from those indexes maintained by the county recorder of those official records of the county which by law impart constructive notice. The filing of a preliminary notice with the county recorder does not give rise to any actual or constructive notice with respect to any party of the existence or contents of a filed preliminary notice nor to any duty of inquiry on the part of any party as to the existence or contents of that notice. 8216. If the contract of any subcontractor on a particular work of improvement provides for payment to the subcontractor of more than four hundred dollars ($400), the failure of that subcontractor, licensed under the Contractors' State License Law (Chapter 9 (commencing with Section 7000) of Division 3 of the Business and Professions Code), to give the notice provided for in this chapter, constitutes grounds for disciplinary action under the Contractors' State License Law. 8300. For purposes of this chapter, a "design professional" is a person described in Section 8014 who provides services pursuant to a written contract with a landowner for the design, engineering, or planning of a work of improvement. 8302. (a) A design professional has, from the date of recordation of a claim of lien under this chapter, a lien on the site notwithstanding the absence of commencement of the planned work of improvement, if the landowner who contracted for the design professional's services is also the owner of the site at the time of recordation of the claim of lien. (b) The lien of the design professional is for the amount of the design professional's fee for services provided under the contract or the reasonable value of those services, whichever is less. The amount of the lien is reduced by the amount of any deposit or prior payment under the contract. (c) A design professional may not record a claim of lien, and a lien may not be created, under this chapter unless a building permit or other governmental approval in furtherance of the work of improvement has been obtained in connection with or utilizing the services provided by the design professional. 8304. A design professional is not entitled to a lien under this chapter unless all of the following conditions are satisfied: (a) The work of improvement for which the design professional provided services has not commenced. (b) The landowner defaults in a payment required under the contract or refuses to pay the demand of the design professional made under the contract. (c) Not less than 10 days before recording a claim of lien, the design professional gives the landowner notice making a demand for payment, and stating that a default has occurred under the contract and the amount of the default. (d) The design professional records a claim of lien. The claim of lien shall include all of the following information: (1) The name of the design professional. (2) The amount of the claim. (3) The current owner of record of the site. (4) A legal description of the site. (5) Identification of the building permit or other governmental approval for the work of improvement. 8306. (a) On recordation of the claim of lien, a lien is created in favor of the named design professional. (b) The lien automatically expires and is null and void and of no further force or effect on the occurrence of either of the following events: (1) The commencement of the work of improvement for which the design professional provided services. (2) The expiration of 90 days after recording the claim of lien, unless the design professional commences an action to enforce the lien within that time. (c) If the landowner partially or fully satisfies the lien, the design professional shall execute and record a document that evidences a partial or full satisfaction and release of the lien, as applicable. 8308. (a) Except as provided in subdivision (b), no provision of this part applies to a lien created under this chapter. (b) The following provisions of this part apply to a lien created under this chapter: (1) This chapter. (2) Article 1 (commencing with Section 8000) of Chapter 1 of Title 1. (3) Section 8424. (4) Article 6 (commencing with Section 8460) of Chapter 4. (5) Article 7 (commencing with Section 8480) of Chapter 4. (6) Article 8 (commencing with Section 8490) of Chapter 4. 8310. This chapter does not affect the ability of a design professional to obtain a lien for a work of improvement under Section 8400. 8312. A design professional shall record a claim of lien under this chapter no later than 90 days after the design professional knows or has reason to know that the work of improvement will not be commenced. 8314. The creation of a lien under this chapter does not affect the ability of the design professional to pursue other remedies. 8316. (a) No lien created under this chapter affects or takes priority over the interest of record of a purchaser, lessee, or encumbrancer, if the interest of the purchaser, lessee, or encumbrancer in the real property was duly recorded before recordation of the claim of lien. (b) No lien created under this chapter affects or takes priority over an encumbrance of a construction lender that funds the loan for the work of improvement for which the design professional provided services. 8318. A design professional may not obtain a lien under this chapter for services provided for a work of improvement relating to a single-family, owner-occupied residence for which the expected construction cost is less than one hundred thousand dollars ($125,000). 8400. A person that provides work authorized for a work of improvement, including, but not limited to, the following persons, has a lien right under this chapter: (a) Direct contractor. (b) Subcontractor. (c) Material supplier. (d) Equipment lessor. (e) Laborer. (f) Design professional. 8402. A person that provides work authorized for a site improvement has a lien right under this chapter. 8404. Work is authorized for a work of improvement or for a site improvement in any of the following circumstances: (a) It is provided at the request of or agreed to by the owner. (b) It is provided or authorized by a direct contractor, subcontractor, architect, project manager, or other person having charge of all or part of the work of improvement or site improvement. 8410. A claimant may enforce a lien only if the claimant has given preliminary notice to the extent required by Chapter 2 (commencing with Section 8200) and made proof of notice. 8412. A direct contractor may not enforce a lien unless the contractor records a claim of lien after the contractor completes the direct contract, and before the earlier of the following times: (a) Ninety days after completion of the work of improvement. (b) Sixty days after the owner records a notice of completion or cessation. 8414. A claimant other than a direct contractor may not enforce a lien unless the claimant records a claim of lien within the following times: (a) After the claimant ceases to provide work. (b) Before the earlier of the following times: (1) Ninety days after completion of the work of improvement. (2) Thirty days after the owner records a notice of completion or cessation. "NOTICE OF MECHANICS LIEN ATTENTION! Upon the recording of the enclosed MECHANICS LIEN with the county recorder's office of the county where the property is located, your property is subject to the filing of a legal action seeking a court-ordered foreclosure sale of the real property on which the lien has been recorded. That legal action must be filed with the court no later than 90 days after the date the mechanics lien is recorded. The party identified in the enclosed mechanics lien may have provided labor or materials for improvements to your property and may not have been paid for these items. You are receiving this notice because it is a required step in filing a mechanics lien foreclosure action against your property. The foreclosure action will seek a sale of your property in order to pay for unpaid labor, materials, or improvements provided to your property. This may affect your ability to borrow against, refinance, or sell the property until the mechanics lien is released. BECAUSE THE LIEN AFFECTS YOUR PROPERTY, YOU MAY WISH TO SPEAK WITH YOUR CONTRACTOR IMMEDIATELY, OR CONTACT AN ATTORNEY, OR FOR MORE INFORMATION ON MECHANICS LIENS GO TO THE CONTRACTORS' STATE LICENSE BOARD WEB SITE AT www.cslb.ca.gov." (b) A claim of mechanics lien in otherwise proper form, verified and containing the information required in subdivision (a), shall be accepted by the recorder for recording and shall be deemed duly recorded without acknowledgment. (c) A copy of the claim of mechanics lien, which includes the Notice of Mechanics Lien required by paragraph (8) of subdivision (a), shall be served on the owner or reputed owner. Service shall be made as follows: (1) For an owner or reputed owner to be notified who resides in or outside this state, by registered mail, certified mail, or first-class mail, evidenced by a certificate of mailing, postage prepaid, addressed to the owner or reputed owner at the owner's or reputed owner's residence or place of business address or at the address shown by the building permit on file with the authority issuing a building permit for the work, or as otherwise provided in Section 8174. (2) If the owner or reputed owner cannot be served by this method, then the copy of the claim of mechanics lien may be given by registered mail, certified mail, or first-class mail, evidenced by a certificate of mailing, postage prepaid, addressed to the construction lender or to the original contractor. (d) Service of the copy of the claim of mechanics lien by registered mail, certified mail, or first-class mail, evidenced by a certificate of mailing, postage prepaid, is complete at the time of the deposit of that first-class, certified, or registered mail. (e) Failure to serve the copy of the claim of mechanics lien as prescribed by this section, including the Notice of Mechanics Lien required by paragraph (8) of subdivision (a), shall cause the claim of mechanics lien to be unenforceable as a matter of law. 8422. (a) Except as provided in subdivision (b), erroneous information contained in a claim of lien relating to the claimant's demand, credits and offsets deducted, the work provided, or the description of the site, does not invalidate the claim of lien. (b) Erroneous information contained in a claim of lien relating to the claimant's demand, credits and offsets deducted, or the work provided, invalidates the claim of lien if the court determines either of the following: (1) The claim of lien was made with intent to slander title or defraud. (2) An innocent third party, without notice, actual or constructive, became the bona fide owner of the property after recordation of the claim of lien, and the claim of lien was so deficient that it did not put the party on further inquiry in any manner. 8424. (a) An owner of real property or an owner of any interest in real property subject to a recorded claim of lien, or a direct contractor or subcontractor affected by the claim of lien, that disputes the correctness or validity of the claim may obtain release of the real property from the claim of lien by recording a lien release bond. The principal on the bond may be the owner of the property, the direct contractor, or the subcontractor. (b) The bond shall be conditioned on payment of any judgment and costs the claimant recovers on the lien. The bond shall be in an amount equal to 125 percent of the amount of the claim of lien or 125 percent of the amount allocated in the claim of lien to the real property to be released. The bond shall be executed by an admitted surety insurer. (c) The bond may be recorded either before or after commencement of an action to enforce the lien. On recordation of the bond, the real property is released from the claim of lien and from any action to enforce the lien. (d) A person that obtains and records a lien release bond shall give notice to the claimant. The notice shall comply with the requirements of Chapter 2 (commencing with Section 8100) of Title 1 and shall include a copy of the bond. Failure to give the notice required by this section does not affect the validity of the bond, but the statute of limitations for an action on the bond is tolled until notice is given. The claimant shall commence an action on the bond within six months after notice is given. 8430. (a) The lien is a direct lien for the lesser of the following amounts: (1) The reasonable value of the work provided by the claimant. (2) The price agreed to by the claimant and the person that contracted for the work. (b) The lien is not limited in amount by the contract price for the work of improvement except as provided in Section 8600. (c) This section does not preclude the claimant from including in a claim of lien work performed based on a written modification of the contract, or as a result of rescission, abandonment, or breach of the contract. If there is a rescission, abandonment, or breach of the contract, the amount of the lien may not exceed the reasonable value of the work provided by the claimant. 8432. (a) A lien does not extend to work, whether or not the work is authorized by a direct contractor or subcontractor, if the work is not included in a direct contract or a modification of that contract, and the claimant had actual knowledge or constructive notice of the provisions of that contract or modification before providing the work. (b) The filing of a contract or modification of that contract with the county recorder, before the commencement of a work of improvement, is constructive notice of the provisions of the contract or modification to a person providing work on that work of improvement. 8434. A direct contractor or a subcontractor may enforce a lien only for the amount due pursuant to that contractor's contract after deducting all lien claims of other claimants for work provided and embraced within that contract. 8440. Subject to Section 8442, a lien attaches to the work of improvement and to the real property on which the work of improvement is situated, including as much space about the work of improvement as is required for the convenient use and occupation of the work of improvement. 8442. The following interests in real property to which a lien attaches are subject to the lien: (a) The interest of a person that contracted for the work of improvement. (b) The interest of a person that did not contract for the work of improvement, if work for which the lien is claimed was provided with the knowledge of that person, unless that person gives notice of nonresponsibility under Section 8444. 8444. (a) An owner of real property or a person claiming an interest in real property on which a work of improvement is situated that did not contract for the work of improvement may give notice of nonresponsibility. (b) A notice of nonresponsibility shall be signed and verified by the owner. (c) The notice shall comply with the requirements of Chapter 2 (commencing with Section 8100) of Title 1. (d) The notice shall also include all of the following information: (1) The nature of the owner's title or interest. (2) The name of a purchaser under contract, if any, or lessee, if known. (3) A statement that the person giving the notice is not responsible for claims arising from the work of improvement. (e) A notice of nonresponsibility is not effective unless, within 10 days after the person giving notice has knowledge of the work of improvement, the person both posts and records the notice. 8446. A claimant may record one claim of lien on two or more works of improvement, subject to the following conditions: (a) The works of improvement have or are reputed to have the same owner, or the work was contracted for by the same person for the works of improvement whether or not they have the same owner. (b) The claimant in the claim of lien designates the amount due for each work of improvement. If the claimant contracted for a lump sum payment for work provided for the works of improvement and the contract does not segregate the amount due for each work of improvement separately, the claimant may estimate an equitable distribution of the amount due for each work of improvement based on the proportionate amount of work provided for each. If the claimant does not designate the amount due for each work of improvement, the lien is subordinate to other liens. (c) If there is a single structure on real property of different owners, the claimant need not segregate the proportion of work provided for the portion of the structure situated on real property of each owner. In the lien enforcement action the court may, if it determines it equitable to do so, designate an equitable distribution of the lien among the real property of the owners. (d) The lien does not extend beyond the amount designated as against other creditors having liens, by judgment, mortgage, or otherwise, on either the works of improvement or the real property on which the works of improvement are situated. 8448. (a) As used in this section, "separate residential unit" means one residential structure, including a residential structure containing multiple condominium units, together with any common area, garage, or other appurtenant improvements. (b) If a work of improvement consists of the construction of two or more separate residential units: (1) Each unit is deemed a separate work of improvement, and completion of each unit is determined separately for purposes of the time for recording a claim of lien on that unit. This paragraph does not affect any lien right under Section 8402 or 8446. (2) Material provided for the work of improvement is deemed to be provided for use or consumption in each separate residential unit in which the material is actually used or consumed; but if the claimant is unable to segregate the amounts used or consumed in separate residential units, the claimant has the right to all the benefits of Section 8446. 8450. (a) A lien under this chapter, other than a lien provided for in Section 8402, has priority over a lien, mortgage, deed of trust, or other encumbrance on the work of improvement or the real property on which the work of improvement is situated, that (1) attaches after commencement of the work of improvement or (2) was unrecorded at the commencement of the work of improvement and of which the claimant had no notice. (b) Subdivision (a) is subject to the exception provided for in Section 8452. 8452. A mortgage or deed of trust, otherwise subordinate to a lien under Section 8450, has priority over a lien for work provided after recordation of a payment bond that satisfies all of the following requirements: (a) The bond refers to the mortgage or deed of trust. (b) The bond is in an amount not less than 75 percent of the principal amount of the mortgage or deed of trust. 8454. If a site improvement is provided for in a direct contract separate from the direct contract for the remainder of the work of improvement, the site improvement is deemed a separate work of improvement and commencement of the site improvement is not commencement of the remainder of the work of improvement. 8456. (a) This section applies to a construction loan secured by a mortgage or deed of trust that has priority over a lien under this chapter. (b) An optional advance of funds by the construction lender that is used for construction costs has the same priority as a mandatory advance of funds by the construction lender, provided that the total of all advances does not exceed the amount of the original construction loan. 8458. (a) Except as provided in subdivision (b), a lien provided for in Section 8402 has priority over: (1) A mortgage, deed of trust, or other encumbrance that attaches after commencement of the site improvement. (2) A mortgage, deed of trust, or other encumbrance that was unrecorded at the commencement of the site improvement and of which the claimant had no notice. (3) A mortgage, deed of trust, or other encumbrance that was recorded before commencement of the site improvement, if given for the sole or primary purpose of financing the site improvement. This subdivision does not apply if the loan proceeds are, in good faith, placed in the control of the lender pursuant to a binding agreement with the borrower to the effect that (A) the proceeds are to be applied to the payment of claimants and (B) no portion of the proceeds will be paid to the borrower in the absence of satisfactory evidence that all claims have been paid or that the time for recording a claim of lien has expired and no claim of lien has been recorded. (b) A mortgage or deed of trust, otherwise subordinate under subdivision (a), has priority over a lien provided for in Section 8402 if a payment bond in an amount not less than 50 percent of the principal amount of the mortgage or deed of trust is recorded before completion of the work of improvement." 8460. (a) The claimant shall commence an action to enforce a lien within 90 days after recordation of the claim of lien. If the claimant does not commence an action to enforce the lien within that time, the claim of lien expires and is unenforceable. (b) Subdivision (a) does not apply if the claimant and owner agree to extend credit, and notice of the fact and terms of the extension of credit is recorded (1) within 90 days after recordation of the claim of lien or (2) more than 90 days after recordation of the claim of lien but before a purchaser or encumbrancer for value and in good faith acquires rights in the property. In that event the claimant shall commence an action to enforce the lien within 90 days after the expiration of the credit, but in no case later than one year after completion of the work of improvement. If the claimant does not commence an action to enforce the lien within that time, the claim of lien expires and is unenforceable. 8461. After commencement of an action to enforce a lien, the plaintiff shall record in the office of the county recorder of the county, or of the several counties in which the property is situated, a notice of the pendency of the action, as provided in Title 4.5 (commencing with Section 405) of Part 2 of the Code of Civil Procedure, on or before 20 days after the commencement of the action. Only from the time of recording that notice shall a purchaser or encumbrancer of the property affected thereby be deemed to have constructive notice of the pendency of the action, and in that event only of its pendency against parties designated by their real names. 8462. Notwithstanding Section 583.420 of the Code of Civil Procedure, if an action to enforce a lien is not brought to trial within two years after commencement of the action, the court may in its discretion dismiss the action for want of prosecution. 8464. In addition to any other costs allowed by law, the court in an action to enforce a lien shall allow as costs to each claimant whose lien is established the amount paid to verify and record the claim of lien, whether the claimant is a plaintiff or defendant. 8466. If there is a deficiency of proceeds from the sale of property on a judgment for enforcement of a lien, a deficiency judgment may be entered against a party personally liable for the deficiency in the same manner and with the same effect as in an action to foreclose a mortgage. 8468. (a) This chapter does not affect any of the following rights of a claimant: (1) The right to maintain a personal action to recover a debt against the person liable, either in a separate action or in an action to enforce a lien. (2) The right to a writ of attachment. In an application for a writ of attachment, the claimant shall refer to this section. The claimant's recording of a claim of lien does not affect the right to a writ of attachment. (3) The right to enforce a judgment. (b) A judgment obtained by the claimant in a personal action described in subdivision (a) does not impair or merge the claim of lien, but any amount collected on the judgment shall be credited on the amount of the lien. 8470. In an action to enforce a lien for work provided to a contractor: (a) The contractor shall defend the action at the contractor's own expense. During the pendency of the action the owner may withhold from the direct contractor the amount of the lien claim. (b) If the judgment in the action is against the owner or the owner's property, the owner may deduct the amount of the judgment and costs from any amount owed to the direct contractor. If the amount of the judgment and costs exceeds the amount owed to the direct contractor, or if the owner has settled with the direct contractor in full, the owner may recover from the direct contractor, or the sureties on a bond given by the direct contractor for faithful performance of the direct contract, the amount of the judgment and costs that exceed the contract price and for which the direct contractor was originally liable. 8480. (a) The owner of property or the owner of any interest in property subject to a claim of lien may petition the court for an order to release the property from the claim of lien if the claimant has not commenced an action to enforce the lien within the time provided in Section 8460. (b) This article does not bar any other cause of action or claim for relief by the owner of the property. A release order does not bar any other cause of action or claim for relief by the claimant, other than an action to enforce the claim of lien that is the subject of the release order. (c) A petition for a release order under this article may be joined with a pending action to enforce the claim of lien that is the subject of the petition. No other action or claim for relief may be joined with a petition under this article. (d) Notwithstanding Section 8056, Chapter 2.5 (commencing with Section 1141.10) of Title 3 of Part 3 of the Code of Civil Procedure does not apply to a proceeding under this article. 8482. An owner of property may not petition the court for a release order under this article unless at least 10 days before filing the petition the owner gives the claimant notice demanding that the claimant execute and record a release of the claim of lien. The notice shall comply with the requirements of Chapter 2 (commencing with Section 8100) of Title 1, and shall state the grounds for the demand. 8484. A petition for a release order shall be verified and shall allege all of the following: (a) The date of recordation of the claim of lien. A certified copy of the claim of lien shall be attached to the petition. (b) The county in which the claim of lien is recorded. (c) The book and page or series number of the place in the official records where the claim of lien is recorded. (d) The legal description of the property subject to the claim of lien. (e) Whether an extension of credit has been granted under Section 8460, if so to what date, and that the time for commencement of an action to enforce the lien has expired. (f) That the owner has given the claimant notice under Section 8482 demanding that the claimant execute and record a release of the lien and that the claimant is unable or unwilling to do so or cannot with reasonable diligence be found. (g) Whether an action to enforce the lien is pending. (h) Whether the owner of the property or interest in the property has filed for relief in bankruptcy or there is another restraint that prevents the claimant from commencing an action to enforce the lien. 8486. (a) On the filing of a petition for a release order, the clerk shall set a hearing date. The date shall be not more than 30 days after the filing of the petition. The court may continue the hearing only on a showing of good cause, but in any event the court shall rule and make any necessary orders on the petition not later than 60 days after the filing of the petition. (b) The petitioner shall serve a copy of the petition and a notice of hearing on the claimant at least 15 days before the hearing. Service shall be made in the same manner as service of summons, or by certified or registered mail, postage prepaid, return receipt requested, addressed to the claimant as provided in Section 8108. (c) Notwithstanding Section 8116, when service is made by mail, service is complete on the fifth day following deposit of the petition and notice in the mail. 8488. (a) At the hearing both (1) the petition and (2) the issue of compliance with the service and date for hearing requirements of this article are deemed controverted by the claimant. The petitioner has the initial burden of producing evidence on those matters. The petitioner has the burden of proof as to the issue of compliance with the service and date for hearing requirements of this article. The claimant has the burden of proof as to the validity of the lien. (b) If judgment is in favor of the petitioner, the court shall order the property released from the claim of lien. (c) The prevailing party is entitled to reasonable attorney's fees. 8490. (a) A court order dismissing a cause of action to enforce a lien or releasing property from a claim of lien, or a judgment that no lien exists, shall include all of the following information: (1) The date of recordation of the claim of lien. (2) The county in which the claim of lien is recorded. (3) The book and page or series number of the place in the official records where the claim of lien is recorded. (4) The legal description of the property. (b) A court order or judgment under this section is equivalent to cancellation of the claim of lien and its removal from the record. (c) A court order or judgment under this section is a recordable instrument. On recordation of a certified copy of the court order or judgment, the property described in the order or judgment is released from the claim of lien. (d) This section does not apply to a court order dismissing an action to enforce a lien that is expressly stated to be without prejudice. 8494. If a claim of lien expires and is unenforceable under Section 8460, or if a court order or judgment is recorded under Section 8490, the claim of lien does not constitute actual or constructive notice of any of the matters contained, claimed, alleged, or contended in the claim of lien, or create a duty of inquiry in any person thereafter dealing with the affected property. 8500. The rights of all persons furnishing work for any work of improvement, with respect to any fund for payment of construction costs, are governed exclusively by this chapter, and no person may assert any legal or equitable right with respect to the fund, other than a right created by a written contract between that person and the person holding the fund, except pursuant to the provisions of this chapter. 8502. (a) A stop payment notice shall comply with the requirements of Chapter 2 (commencing with Section 8100) of Title 1, and shall be signed and verified by the claimant. (b) The notice shall include a general description of work to be provided, and an estimate of the total amount in value of the work to be provided. (c) The amount claimed in the notice may include only the amount due the claimant for work provided through the date of the notice. 8504. A claimant that willfully gives a false stop payment notice or that willfully includes in the notice a demand to withhold for work that has not been provided forfeits all right to participate in the distribution of the funds withheld and all right to a lien under Chapter 4 (commencing with Section 8400). 8506. (a) A stop payment notice to an owner shall be given to the owner or to the owner's architect, if any. (b) A stop payment notice to a construction lender holding construction funds shall not be effective unless given to the manager or other responsible officer or person at the office or branch of the lender administering or holding the construction funds. (c) A stop payment notice shall comply with the requirements of Chapter 2 (commencing with Section 8100) of Title 1. 8508. A stop payment notice is not valid unless both of the following conditions are satisfied: (a) The claimant gave preliminary notice to the extent required by Chapter 2 (commencing with Section 8200). (b) The claimant gave the stop payment notice before expiration of the time within which a claim of lien must be recorded under Chapter 4 (commencing with Section 8400). 8510. (a) A person may obtain release of funds withheld pursuant to a stop payment notice by giving the person withholding the funds a release bond. (b) A release bond shall be given by an admitted surety insurer and shall be conditioned for payment of any amount not exceeding the penal obligation of the bond that the claimant recovers on the claim, together with costs of suit awarded in the action. The bond shall be in an amount equal to 125 percent of the amount claimed in the stop payment notice. (c) On receipt of a release bond, the person withholding funds pursuant to the stop payment notice shall release them. 8520. (a) A person that has a lien right under Chapter 4 (commencing with Section 8400), other than a direct contractor, may give the owner a stop payment notice. (b) The owner may give notice, in compliance with the requirements of Chapter 2 (commencing with Section 8100) of Title 1, demanding that a person that has a lien right under Chapter 4 (commencing with Section 8400) give the owner a stop payment notice. If the person fails to give the owner a bonded or unbonded stop payment notice, the person forfeits the right to a lien under Chapter 4 (commencing with Section 8400). 8522. (a) Except as provided in subdivision (b), on receipt of a stop payment notice an owner shall withhold from the direct contractor or from any person acting under authority of a direct contractor a sufficient amount due or to become due to the direct contractor to pay the claim stated in the notice. (b) The owner may, but is not required to, withhold funds if the owner has previously recorded a payment bond under Section 8600. If the owner does not withhold funds, the owner shall, within 30 days after receipt of the stop payment notice, give notice to the claimant that a payment bond has been recorded and provide the claimant a copy of the bond. The notice shall comply with the requirements of Chapter 2 (commencing with Section 8100) of Title 1. 8530. A person that has a lien right under Chapter 4 (commencing with Section 8400) may give a construction lender a stop payment notice. 8532. A claimant may give a construction lender a stop payment notice accompanied by a bond in an amount equal to 125 percent of the amount of the claim. The bond shall be conditioned that if the defendant recovers judgment in an action to enforce payment of the claim stated in the stop payment notice or to enforce a claim of lien recorded by the claimant, the claimant will pay all costs that are awarded the owner, direct contractor, or construction lender, and all damages to the owner, direct contractor, or construction lender that result from the stop payment notice or recordation of the claim of lien, not exceeding the amount of the bond. 8534. (a) A construction lender that objects to the sufficiency of sureties on the bond given with a bonded stop payment notice shall give notice to the claimant of the objection, within 20 days after the bonded stop payment notice is given. The notice shall comply with the requirements of Chapter 2 (commencing with Section 8100) of Title 1. (b) The claimant may within 10 days after notice of the objection is given substitute for the initial bond a bond executed by an admitted surety insurer. If the claimant does not substitute a bond executed by an admitted surety insurer, the construction lender may disregard the bonded stop payment notice and release all funds withheld in response to that notice. 8536. (a) Except as provided in subdivision (b), on receipt of a stop payment notice a construction lender shall withhold from the borrower or other person to whom the lender or the owner is obligated to make payments or advancement out of the construction fund sufficient funds to pay the claim stated in the notice. (b) The construction lender may, at its option, elect not to withhold funds in any of the following circumstances: (1) The stop payment notice is unbonded. (2) The stop payment notice is given by a claimant other than a direct contractor, and a payment bond is recorded before the lender is given any stop payment notice. 8538. (a) The claimant may make a written request for notice of an election by the construction lender under Section 8536 not to withhold funds. The request shall be made at the time the claimant gives the construction lender the stop payment notice and shall be accompanied by a preaddressed, stamped envelope. (b) If the construction lender elects not to withhold funds under Section 8536, the lender shall, within 30 days after making the election, give notice of that fact to a claimant who has requested notice of the election under subdivision (a). The notice shall comply with the requirements of Chapter 2 (commencing with Section 8100) of Title 1. If the basis of the election is the recordation of a payment bond under Section 8600, the construction lender shall include a copy of the bond with the notice. (c) A construction lender is not liable for failure to include a copy of the bond with the notice under this section if all of the following conditions are satisfied: (1) The failure was not intentional and resulted from a bona fide error. (2) The lender maintains reasonable procedures to avoid an error of that type. (3) The lender corrected the error not later than 20 days after the date the lender discovered the violation. 8540. (a) Funds withheld pursuant to a stop payment notice shall be distributed in the following order of priority: (1) First, to pay claims of persons that have given a bonded stop payment notice. If funds are insufficient to pay the claims of those persons in full, the funds shall be distributed pro rata among the claimants in the ratio that the claim of each bears to the aggregate of all claims for which a bonded stop payment notice is given. (2) Second, to pay claims of persons that have given an unbonded stop payment notice. If funds are insufficient to pay the claims of those persons in full, the funds shall be distributed among the claimants in the ratio that the claim of each bears to the aggregate of all claims for which an unbonded stop payment notice is given. (b) Pro rata distribution under this section shall be made among the persons entitled to share in the distribution without regard to the order in which the person has given a stop payment notice or commenced an enforcement action. 8542. Notwithstanding Section 8540: (a) If funds are withheld pursuant to a stop payment notice given to a construction lender by a direct contractor or subcontractor, the direct contractor or subcontractor may recover only the net amount due the direct contractor or subcontractor after deducting any funds that are withheld by the construction lender pursuant to the claims of subcontractors and material suppliers that have given a stop payment notice for work done on behalf of the direct contractor or subcontractor. (b) In no event is the construction lender required to withhold, pursuant to a stop payment notice, more than the net amount provided in subdivision (a). Notwithstanding any other provision of this chapter, a construction lender is not liable for failure to withhold more than that net amount on receipt of a stop payment notice. 8544. The rights of a claimant who gives a construction lender a stop payment notice are not affected by an assignment of construction loan funds made by the owner or direct contractor, and the stop payment notice has priority over the assignment, whether the assignment is made before or after the stop payment notice is given. 8550. (a) A claimant shall commence an action to enforce payment of the claim stated in a stop payment notice at any time after 10 days from the date the claimant gives the stop payment notice. (b) A claimant shall commence an action to enforce payment of the claim stated in a stop payment notice not later than 90 days after expiration of the time within which a stop payment notice must be given. (c) An action under this section may not be brought to trial or judgment entered before expiration of the time provided in subdivision (b). (d) If a claimant does not commence an action to enforce payment of the claim stated in a stop payment notice within the time prescribed in subdivision (b), the notice ceases to be effective and the person withholding funds pursuant to the notice shall release them. (e) Within five days after commencement of an action to enforce payment of the claim stated in a stop payment notice, the claimant shall give notice of commencement of the action to the persons to whom the stop payment notice was given. The notice shall comply with the requirements of Chapter 2 (commencing with Section 8100) of Title 1. 8552. If more than one claimant has given a stop payment notice: (a) Any number of claimants may join in the same enforcement action. (b) If claimants commence separate actions, the court first acquiring jurisdiction may order the actions consolidated. (c) On motion of the owner or construction lender the court shall require all claimants to be impleaded in one action, to the end that the rights of all parties may be adjudicated in the action. 8554. Notwithstanding Section 583.420 of the Code of Civil Procedure, if an action to enforce payment of the claim stated in a stop payment notice is not brought to trial within two years after commencement of the action, the court may in its discretion dismiss the action for want of prosecution. 8556. A stop payment notice ceases to be effective, and a person withholding funds pursuant to the notice shall release them, in either of the following circumstances: (a) An action to enforce payment of the claim stated in the stop payment notice is dismissed, unless expressly stated to be without prejudice. (b) Judgment in an action to enforce payment of the claim stated in the stop payment notice is against the claimant. 8558. (a) In an action to enforce payment of the claim stated in a bonded stop payment notice, the prevailing party is entitled to a reasonable attorney's fee in addition to costs and damages. (b) The court, on notice and motion by a party, shall determine who is the prevailing party or that there is no prevailing party for the purpose of this section, regardless of whether the action proceeds to final judgment. The prevailing party is the party that recovers greater relief in the action, subject to the following limitations: (1) If the action is voluntarily dismissed or dismissed pursuant to a settlement, there is no prevailing party. (2) If the defendant tenders to the claimant the full amount to which the claimant is entitled, and deposits in court for the claimant the amount so tendered, and alleges those facts in the answer and the allegation is determined to be true, the defendant is deemed to be the prevailing party. 8560. If the claimant is the prevailing party in an action to enforce payment of the claim stated in a bonded stop payment notice, any amount awarded on the claim shall include interest at the legal rate calculated from the date the stop payment notice is given. 8600. (a) This section applies if, before the commencement of work, the owner in good faith files a direct contract with the county recorder, and records a payment bond of the direct contractor in an amount not less than 50 percent of the price stated in the direct contract. (b) If the conditions of subdivision (a) are satisfied, the court shall, where equitable to do so, restrict lien enforcement under this title to the aggregate amount due from the owner to the direct contractor and shall enter judgment against the direct contractor and surety on the bond for any deficiency that remains between the amount due to the direct contractor and the whole amount due to claimants. 8602. Section 8600 does not preclude an owner from requiring a performance bond, payment bond, or other security as protection against a direct contractor's failure to perform the direct contract or to make full payment for all work provided pursuant to the contract. 8604. (a) If a lending institution requires that a payment bond be given as a condition of lending money to finance a work of improvement, and accepts in writing as sufficient a bond given in fulfillment of the requirement, the lending institution may not thereafter object to the borrower as to the validity of the bond or refuse to make the loan based on an objection to the bond if the bond is given by an admitted surety insurer. (b) For purposes of this section, a "lending institution" includes a commercial bank, savings and loan institution, credit union, or other organization or person engaged in the business of financing loans. 8606. (a) A payment bond under this title shall be conditioned for the payment in full of the claims of all claimants and shall by its terms inure to the benefit of all claimants so as to give a claimant a right of action to enforce the liability on the bond. The bond shall be given by an admitted surety insurer. (b) An owner, direct contractor, or subcontractor may be the principal on the bond. (c) A claimant may enforce the liability on the bond in an action to enforce a lien under this part or in a separate action on the bond. 8608. (a) This title does not give a claimant a right to recover on a direct contractor's payment bond given under this chapter unless the claimant provided work to the direct contractor either directly or through one or more subcontractors, pursuant to a direct contract. (b) Nothing in this section affects the stop payment notice right of, and relative priorities among, design professionals and holders of secured interests in the real property. 8609. Any provision in a payment bond attempting by contract to shorten the period prescribed in Section 337 of the Code of Civil Procedure for the commencement of an action on the bond shall not be valid under either of the following circumstances: (a) If the provision attempts to limit the time for commencement of an action on the bond to a shorter period than six months from the completion of any work of improvement. (b) As applied to any action brought by a claimant, unless the bond is recorded before the work of improvement is commenced. 8610. Notwithstanding Section 8609, if a payment bond under this title is recorded before completion of a work of improvement, an action to enforce the liability on the bond may not be commenced later than six months after completion of the work of improvement. 8612. (a) In order to enforce a claim against a payment bond under this title, a claimant shall give the preliminary notice provided in Chapter 2 (commencing with Section 8200). (b) If preliminary notice was not given as provided in Chapter 2 (commencing with Section 8200), a claimant may enforce a claim by giving written notice to the surety and the bond principal within 15 days after recordation of a notice of completion. If no notice of completion has been recorded, the time for giving written notice to the surety and the bond principal is extended to 75 days after completion of the work of improvement. 8614. Notice to the principal and surety under Section 8612 shall comply with the requirements of Chapter 2 (commencing with Section 8100) of Title 1. 8830. "Stop work notice" means notice given under this article by a direct contractor to an owner that the contractor will stop work if the amount owed the contractor is not paid within 10 days after notice is given. 8832. If a direct contractor is not paid the amount due pursuant to a written contract within 35 days after the date payment is due under the contract, and there is no dispute as to the satisfactory performance of the contractor, the contractor may give the owner a stop work notice. The notice shall comply with the requirements of Chapter 2 (commencing with Section 8100) of Title 1. 8834. A direct contractor that gives an owner a stop work notice shall give the following additional notice: (a) At least five days before giving the stop work notice, the contractor shall post notice of intent to give a stop work notice. The notice shall comply with the requirements of Chapter 2 (commencing with Section 8100) of Title 1. In addition to posting the notice pursuant to Section 8114, the notice shall also be posted at the main office of the site, if one exists. (b) At the same time the contractor gives the stop work notice, the contractor shall give a copy of the stop work notice to all subcontractors with whom the contractor has a direct contractual relationship on the work of improvement. 8836. Within five days after receipt of a stop work notice from a direct contractor, the owner shall give a copy of the notice to the construction lender, if any. The copy of the notice shall be given in compliance with the requirements of Chapter 2 (commencing with Section 8100) of Title 1. 8838. (a) The direct contractor or the direct contractor's surety, or a subcontractor or a subcontractor's surety, is not liable for delay or damage that the owner or a contractor of a subcontractor may suffer as a result of the direct contractor giving a stop work notice and subsequently stopping work for nonpayment, if the notice and posting requirements of this article are satisfied. (b) A direct contractor's or original subcontractor's liability to a subcontractor or material supplier after the direct contractor stops work under this article is limited to the amount the subcontractor or material supplier could otherwise recover under this title for work provided up to the date the subcontractor or material supplier ceases work, subject to the following exceptions: (1) The direct contractor's or original subcontractor's liability continues for work provided up to and including the 10-day notice period and not beyond. (2) This subdivision does not limit liability for custom work, including materials that have been fabricated, manufactured, or ordered to specifications that are unique to the job. 8840. On resolution of the claim in the stop work notice or the direct contractor's cancellation of the stop work notice, the contractor shall post, and give subcontractors with whom the contractor has a direct contractual relationship on the work of improvement, notice of the resolution or cancellation. The notice shall comply with the requirements of Chapter 2 (commencing with Section 8100) of Title 1. In addition to posting the notice pursuant to Section 8114, the notice shall also be posted at the main office of the site, if one exists. 8842. A direct contractor's right to stop work under this article is in addition to other rights the direct contractor may have under the law. 8844. (a) If payment of the amount claimed is not made within 10 days after a stop work notice is given, the direct contractor, the direct contractor's surety, or an owner may in an expedited proceeding in the superior court in the county in which the private work of improvement is located, seek a judicial determination of liability for the amount due. (b) The expedited proceeding shall be set for hearing or trial at the earliest possible date in order that it shall be quickly heard and determined, and shall take precedence over all other cases except older matter of the same character and other matters to which special precedence has been given. 8846. It is against public policy to waive the provisions of this article by contract. 8848. (a) This article applies to a contract entered into on or after January 1, 1999. (b) This article does not apply to a retention withheld by a lender pursuant to a construction loan agreement. 9000. This title applies to a work of improvement contracted for by a public entity. 9100. (a) Except as provided in subdivision (b), any of the following persons that have not been paid in full may give a stop payment notice to the public entity or assert a claim against a payment bond: (1) A person that provides work for a public works contract, if the work is authorized by a direct contractor, subcontractor, architect, project manager, or other person having charge of all or part of the public works contract. (2) A laborer. (3) A person described in Section 4107.7 of the Public Contract Code. (b) A direct contractor may not give a stop payment notice or assert a claim against a payment bond under this title. 9200. For the purpose of this title, completion of a work of improvement occurs at the earliest of the following times: (a) Acceptance of the work of improvement by the public entity. (b) Cessation of labor on the work of improvement for a continuous period of 60 days. This subdivision does not apply to a contract awarded under the State Contract Act, Part 2 (commencing with Section 10100) of Division 2 of the Public Contract Code. 9202. (a) A public entity may record a notice of cessation if there has been a continuous cessation of labor for at least 30 days prior to the recordation that continues through the date of the recordation. (b) The notice shall be signed and verified by the public entity or its agent. (c) The notice shall comply with the requirements of Chapter 2 (commencing with Section 8100) of Title 1, and shall also include all of the following information: (1) The date on or about which the labor ceased. (2) A statement that the cessation has continued until the recordation of the notice. 9204. (a) A public entity may record a notice of completion on or within 15 days after the date of completion of a work of improvement. (b) The notice shall be signed and verified by the public entity or its agent. (c) The notice shall comply with the requirements of Chapter 2 (commencing with Section 8100) of Title 1, and shall also include the date of completion. An erroneous statement of the date of completion does not affect the effectiveness of the notice if the true date of completion is 15 days or less before the date of recordation of the notice. 9208. A notice of completion in otherwise proper form, verified and containing the information required by this title shall be accepted by the recorder for recording and is deemed duly recorded without acknowledgment. 9300. (a) Except as otherwise provided by statute, before giving a stop payment notice or asserting a claim against a payment bond, a claimant shall give preliminary notice to the following persons: (1) The public entity. (2) The direct contractor to which the claimant provides work. (b) Notwithstanding subdivision (a): (1) A laborer is not required to give preliminary notice. (2) A claimant that has a direct contractual relationship with a direct contractor is not required to give preliminary notice. (c) Compliance with this section is a necessary prerequisite to the validity of a stop payment notice under this title. (d) Compliance with this section or with Section 9562 is a necessary prerequisite to the validity of a claim against a payment bond under this title. 9302. (a) Except as provided in subdivision (b), preliminary notice shall be given in compliance with the requirements of Chapter 2 (commencing with Section 8100) of Title 1. (b) If the public works contract is for work constructed by the Department of Public Works or the Department of General Services of the state, preliminary notice to the public entity shall be given to the disbursing officer of the department constructing the work. 9303. The preliminary notice shall comply with the requirements of Section 8102, and shall also include: (a) A general description of the work to be provided. (b) An estimate of the total price of the work provided and to be provided. 9304. A claimant may give a stop payment notice or assert a claim against a payment bond only for work provided within 20 days before giving preliminary notice and at any time thereafter. 9306. If the contract of any subcontractor on a particular work of improvement provides for payment to the subcontractor of more than four hundred dollars ($400), the failure of that subcontractor, licensed under the Contractors' State License Law (Chapter 9 (commencing with Section 7000) of Division 3 of the Business and Professions Code), to give the notice provided for in this chapter, constitutes grounds for disciplinary action under the Contractors' State License Law. 9350. The rights of all persons furnishing work pursuant to a public works contract, with respect to any fund for payment of construction costs, are governed exclusively by this chapter, and no person may assert any legal or equitable right with respect to that fund, other than a right created by direct written contract between the person and the person holding the fund, except pursuant to the provisions of this chapter. 9352. (a) A stop payment notice shall comply with the requirements of Chapter 2 (commencing with Section 8100) of Title 1, and shall be signed and verified by the claimant. (b) The notice shall include a general description of work to be provided, and an estimate of the total amount in value of the work to be provided. (c) The amount claimed in the notice may include only the amount due the claimant for work provided through the date of the notice. 9354. (a) Except as provided in subdivision (b), a stop payment notice shall be given in compliance with the requirements of Chapter 2 (commencing with Section 8100) of Title 1. (b) A stop payment notice shall be given to the public entity by giving the notice to the following person: (1) In the case of a public works contract of the state, the director of the department that awarded the contract. (2) In the case of a public works contract of a public entity other than the state, the office of the controller, auditor, or other public disbursing officer whose duty it is to make payment pursuant to the contract, or the commissioners, managers, trustees, officers, board of supervisors, board of trustees, common council, or other body by which the contract was awarded. 9356. A stop payment notice is not effective unless given before the expiration of whichever of the following time periods is applicable: (a) If a notice of completion, acceptance, or cessation is recorded, 30 days after that recordation. (b) If a notice of completion, acceptance, or cessation is not recorded, 90 days after cessation or completion. 9358. (a) The public entity shall, on receipt of a stop payment notice, withhold from the direct contractor sufficient funds due or to become due to the direct contractor to pay the claim stated in the stop payment notice and to provide for the public entity's reasonable cost of any litigation pursuant to the stop payment notice. (b) The public entity may satisfy its duty under this section by refusing to release funds held in escrow under Section 10263 or 22300 of the Public Contract Code. 9360. (a) This chapter does not prohibit payment of funds to a direct contractor or a direct contractor's assignee if a stop payment notice is not received before the disbursing officer actually surrenders possession of the funds. (b) This chapter does not prohibit payment of any amount due to a direct contractor or a direct contractor's assignee in excess of the amount necessary to pay the total amount of all claims stated in stop payment notices received by the public entity at the time of payment plus any interest and court costs that might reasonably be anticipated in connection with the claims. 9362. (a) Not later than 10 days after each of the following events, the public entity shall give notice to a claimant that has given a stop payment notice of the time within which an action to enforce payment of the claim stated in the stop payment notice must be commenced: (1) Completion of a public works contract, whether by acceptance or cessation. (2) Recordation of a notice of cessation or completion. (b) The notice shall comply with the requirements of Chapter 2 (commencing with Section 8100) of Title 1. (c) A public entity need not give notice under this section unless the claimant has paid the public entity ten dollars ($10) at the time of giving the stop payment notice. 9364. (a) A public entity may, in its discretion, permit the direct contractor to give the public entity a release bond. The bond shall be executed by an admitted surety insurer, in an amount equal to 125 percent of the claim stated in the stop payment notice, conditioned for the payment of any amount the claimant recovers in an action on the claim, together with court costs if the claimant prevails. (b) On receipt of a release bond, the public entity shall not withhold funds from the direct contractor pursuant to the stop payment notice. (c) The surety on a release bond is jointly and severally liable to the claimant with the sureties on any payment bond given under Chapter 5 (commencing with Section 9550). 9400. A direct contractor may obtain release of funds withheld pursuant to a stop payment notice under the summary proceeding provided in this article on any of the following grounds: (a) The claim on which the notice is based is not a type for which a stop payment notice is authorized under this chapter. (b) The claimant is not a person authorized under Section 9100 to give a stop payment notice. (c) The amount of the claim stated in the stop payment notice is excessive. (d) There is no basis for the claim stated in the stop payment notice. 9402. The direct contractor shall serve on the public entity an affidavit, together with a copy of the affidavit, in compliance with the requirements of Chapter 2 (commencing with Section 8100) of Title 1, that includes all of the following information: (a) An allegation of the grounds for release of the funds and a statement of the facts supporting the allegation. (b) A demand for the release of all or the portion of the funds that are alleged to be withheld improperly or in an excessive amount. (c) A statement of the address of the contractor within the state for the purpose of permitting service by mail on the contractor of any notice or document. 9404. The public entity shall serve on the claimant a copy of the direct contractor's affidavit, together with a notice stating that the public entity will release the funds withheld, or the portion of the funds demanded, unless the claimant serves on the public entity a counteraffidavit on or before the time stated in the notice. The time stated in the notice shall be not less than 10 days nor more than 20 days after service on the claimant of the copy of the affidavit. The notice shall comply with the requirements of Chapter 2 (commencing with Section 8100) of Title 1. 9406. (a) A claimant that contests the direct contractor's affidavit shall serve on the public entity a counteraffidavit alleging the details of the claim and describing the specific basis on which the claimant contests or rebuts the allegations of the contractor's affidavit. The counteraffidavit shall be served within the time stated in the public entity's notice, together with proof of service of a copy of the counteraffidavit on the direct contractor. The service of the counteraffidavit on the public entity and the copy of the affidavit on the direct contractor shall comply with the requirements of Chapter 2 (commencing with Section 8100) of Title 1. (b) If no counteraffidavit with proof of service is served on the public entity within the time stated in the public entity's notice, the public entity shall immediately release the funds, or the portion of the funds demanded by the affidavit, without further notice to the claimant, and the public entity is not liable in any manner for their release. (c) The public entity is not responsible for the validity of an affidavit or counteraffidavit under this article. 9450. If funds withheld pursuant to a stop payment notice are insufficient to pay in full the claims of all persons who have given a stop payment notice, the funds shall be distributed among the claimants in the ratio that the claim of each bears to the aggregate of all claims for which a stop payment notice is given, without regard to the order in which the notices were given or enforcement actions were commenced. 9452. Nothing in this chapter impairs the right of a claimant to recover from the direct contractor or the contractor's sureties in an action on a payment bond under Chapter 5 (commencing with Section 9550) any deficit that remains unpaid after the distribution under Section 9450. 9454. A person that willfully gives a false stop payment notice to the public entity or that willfully includes in the notice work not provided for the public works contract for which the stop payment notice is given forfeits all right to participate in the distribution under Section 9450. 9456. (a) A stop payment notice takes priority over an assignment by a direct contractor of any amount due or to become due pursuant to a public works contract, including contract changes, whether made before or after the giving of a stop payment notice, and the assignment has no effect on the rights of the claimant. (b) Any garnishment of an amount due or to become due pursuant to a public works contract by a creditor of a direct contractor under Article 8 (commencing with Section 708.710) of Chapter 6 of Division 2 of Title 9 of Part 2 of the Code of Civil Procedure and any statutory lien on that amount is subordinate to the rights of a claimant. 9500. (a) A claimant may not enforce payment of the claim stated in a stop payment notice unless the claimant has complied with all of the following conditions: (1) The claimant has given preliminary notice to the extent required by Chapter 3 (commencing with Section 9300). (2) The claimant has given the stop payment notice within the time provided in Section 9356. (b) The claim filing procedures of Part 3 (commencing with Section 900) of Division 3.6 of Title 1 of the Government Code do not apply to an action under this article. 9502. (a) The claimant shall commence an action against the public entity and the direct contractor to enforce payment of the claim stated in a stop payment notice at any time after 10 days from the date the claimant gives the stop payment notice. (b) The claimant shall commence an action against the public entity and the direct contractor to enforce payment of the claim stated in a stop payment notice not later than 90 days after expiration of the time within which a stop payment notice must be given. (c) An action under this section may not be brought to trial or judgment entered before expiration of the time provided in subdivision (b). (d) If a claimant does not commence an action to enforce payment of the claim stated in a stop payment notice within the time provided in subdivision (b), the notice ceases to be effective and the public entity shall release funds withheld pursuant to the notice. 9504. Within five days after commencement of an action to enforce payment of the claim stated in a stop payment notice, the claimant shall give notice of commencement of the action to the public entity in the same manner that a stop payment notice is given. 9506. If more than one claimant has given a stop payment notice: (a) Any number of claimants may join in the same enforcement action. (b) If claimants commence separate actions, the court that first acquires jurisdiction may order the actions consolidated. (c) On request of the public entity, the court shall require that all claimants be impleaded in one action and shall adjudicate the rights of all parties in the action. 9508. Notwithstanding Section 583.420 of the Code of Civil Procedure, if an action to enforce payment of the claim stated in a stop payment notice is not brought to trial within two years after commencement of the action, the court may in its discretion dismiss the action for want of prosecution. 9510. A stop payment notice ceases to be effective, and the public entity shall release funds withheld, in either of the following circumstances: (a) An action to enforce payment of the claim stated in the stop payment notice is dismissed, unless expressly stated to be without prejudice. (b) Judgment in an action to enforce payment of the claim stated in the stop payment notice is against the claimant. 9550. (a) A direct contractor that is awarded a public works contract involving an expenditure in excess of twenty-five thousand dollars ($25,000) shall, before commencement of work, give a payment bond to and approved by the officer or public entity by whom the contract was awarded. (b) A public entity shall state in its call for bids that a payment bond is required for a public works contract involving an expenditure in excess of twenty-five thousand dollars ($25,000). (c) A payment bond given and approved under this section will permit performance of and provide coverage for work pursuant to a public works contract that supplements the contract for which the bond is given, if the requirement of a new bond is waived by the public entity. (d) For the purpose of this section, a design professional is not deemed a direct contractor and is not required to give a payment bond. (e) This section does not apply to a public works contract with a "state entity" as defined in subdivision (d) of Section 7103 of the Public Contract Code. 9552. If a payment bond is not given and approved as required by Section 9550: (a) Neither the public entity awarding the public works contract nor any officer of the public entity shall audit, allow, or pay a claim of the direct contractor pursuant to the contract. (b) A claimant shall receive payment of a claim pursuant to a stop payment notice in the manner provided by Chapter 4 (commencing with Section 9350). 9554. (a) A payment bond shall be in an amount not less than 100 percent of the total amount payable pursuant to the public works contract. The bond shall be in the form of a bond and not a deposit in lieu of a bond. The bond shall be executed by an admitted surety insurer. (b) The payment bond shall provide that if the direct contractor or a subcontractor fails to pay any of the following, the surety will pay the obligation and, if an action is brought to enforce the liability on the bond, a reasonable attorney's fee, to be fixed by the court: (1) A person authorized under Section 9100 to assert a claim against a payment bond. (2) Amounts due under the Unemployment Insurance Code with respect to work or labor performed pursuant to the public works contract. (3) Amounts required to be deducted, withheld, and paid over to the Employment Development Department from the wages of employees of the contractor and subcontractors under Section 13020 of the Unemployment Insurance Code with respect to the work and labor. (c) The payment bond shall be conditioned for the payment in full of the claims of all claimants and by its terms inure to the benefit of any person authorized under Section 9100 to assert a claim against a payment bond so as to give a right of action to that person or that person's assigns in an action to enforce the liability on the bond. (d) The direct contractor may require that a subcontractor give a bond to indemnify the direct contractor for any loss sustained by the direct contractor because of any default of the subcontractor under this section. 9558. A claimant may commence an action to enforce the liability on the bond at any time after the claimant ceases to provide work, but not later than six months after the period in which a stop payment notice may be given under Section 9356. 9560. (a) In order to enforce a claim against a payment bond, a claimant shall give the preliminary notice provided in Chapter 3 (commencing with Section 9300). (b) If preliminary notice was not given as provided in Chapter 3 (commencing with Section 9300), a claimant may enforce a claim by giving written notice to the surety and bond principal within 15 days after recordation of a notice of completion. If no notice of completion has been recorded, the time for giving written notice to the surety and the bond principal is extended to 75 days after completion of the work of improvement. 9562. Notice to the principal and surety under Section 9560 shall comply with the requirements of Chapter 2 (commencing with Section 8100) of Title 1. 9564. (a) A claimant may maintain an action to enforce the liability of a surety on a payment bond whether or not the claimant has given the public entity a stop payment notice. (b) A claimant may maintain an action to enforce the liability on the bond separately from and without commencement of an action against the public entity by whom the contract was awarded or against any officer of the public entity. (c) In an action to enforce the liability on the bond, the court shall award the prevailing party a reasonable attorney's fee. 9566. (a) A claimant does not have a right to recover on a payment bond unless the claimant provided work to the direct contractor either directly or through one or more subcontractors pursuant to a public works contract. (b) Nothing in this section affects the stop payment notice rights of, and relative priorities among, design professionals.